Short Sale Process | The Law Office of Emil Fleysher, P.A. Is a Short Sale right for you? | The Law Office of Emil Fleysher, P.A. Home Blog Is a Short Sale right for you? 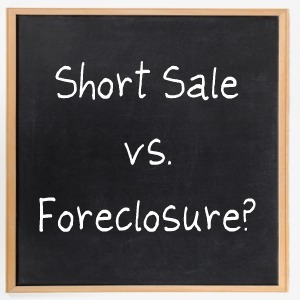 When is a Short Sale a good idea for borrowers facing foreclosure? Many South Florida borrowers are faced with a tough decision after defaulting on their mortgage loan… Is a Short Sale the right thing for us to do right now? The answer is actually not as complicated as you may think. Simply put, if you are ready to leave the property within 3-6 months and you require a little financial help in making the transition to your new home, then the Short Sale is the way to go. The typical successful Short Sale transaction takes about 3-6 months from listing to closing and most banks offer anywhere from $3,000 – $10,000 in relocation assistance at the closing. In addition, a waiver of deficiency (the difference between what you owe on the loan and what the property is worth) can typically be negotiated with banks in most Short Sale transactions. Further, a Short Sale is a way for many borrowers to salvage their credit and speed up the waiting period for a new mortgage after a foreclosure has been filed. A Short Sale typically results in a report of the mortgage on your credit as “settled for less than the full amount owed” as opposed to a flat out “foreclosed” branding. Most lenders provide for a waiting period of 4 years after foreclosure before a potential borrower will be considered for a new mortgage while that waiting period is typically reduced to 18-24 months following a Short Sale. However, keep in mind that closing on a Short Sale will require you to leave the house right away and if you’re not ready to take that step, a different strategy may be a better fit for you. Perhaps the Short Sale initiation process can be delayed for some period of time while circumstances change so that you can later be in a better position to start on the Short Sale. I am an attorney helping borrowers in these and similar situations navigate the process and make the best of a difficult situation. Please call or email me to schedule a Free Consultation to discuss your situation and options. I look forward to helping in any way I can.